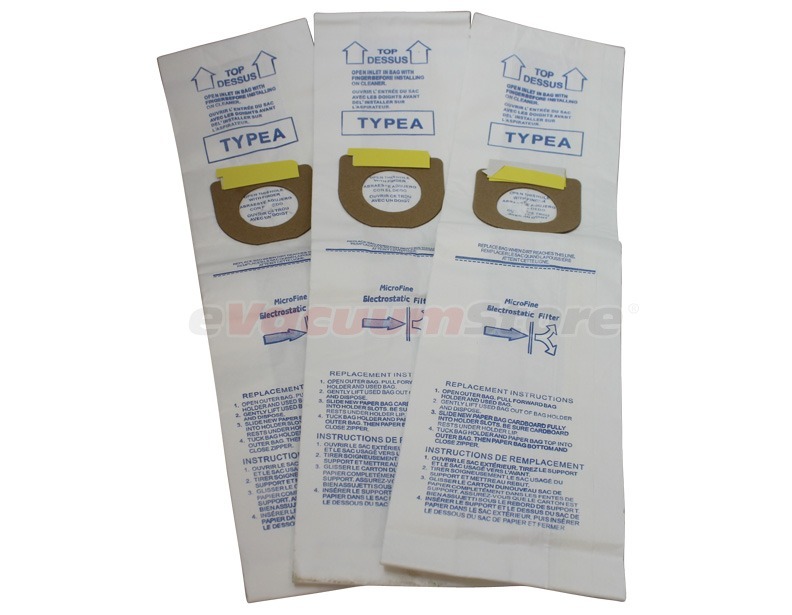 Hoover Type A Vacuum Bags fit several models including: Converible, Elite, Encore, PowerMx, Spectrum, Spirit, and more. The top fill design maximizes dust intake for your Hoover upright vacuum. Hoover crafted these bags from a durable material to last; however, the manufacturer recommends that you change the bag every three to four months to avoid complications to your vacuum. Contact eVacuumStore.com today to place your order for Hoover A Bags. Also suitable for Bissell Style 2, Singer SUB-3, Singer HEMS-1, and Kenmore 5037 and 50378.